Address: 676246 Amurskaya obl., Zeya, Stroitelnaya st., 71. Zapovednik Zeisky, in the eastern part of Amurskaуa Region, was founded in 1563. Its area is 99,4 thousand ha. It occupies the eastern part of the Tukuringr Mountain Ridge. The relief is characterized by gentle slopes and flat watersheds; watersheds are 400-600 m higher than valley bottoms. 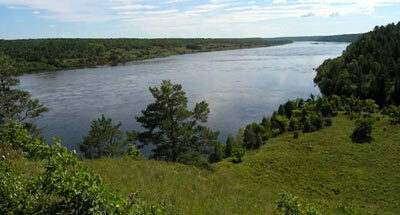 All the rivers of the Zapovednik belong to the Zeya River basin. Along narrow valleys of the Zeya’s small tributaries gulfs of the Zeyskoye water reservoir cut into the Zapovednik' s territory. 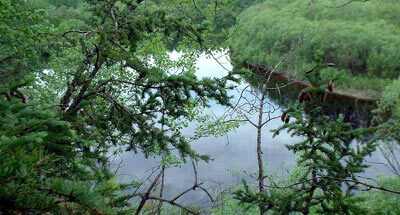 The landscapes are defined by larch taiga on mountain slopes. The forest covered area makes up about 90% of the total territory. Light coniferous taiga is spread to 800-900 m above sea level; spruce forests to 1000-1100 m above the sea level; higher are elfin cedar thickets. On the flat watersheds mountain tundra plants are developed. In the Zapovednik goes the north-western and northern border of spread for several species of Manchurian flora: Quercus mongolica, Ulmus japonica, Ulmus laciniata, Schisandra chinensis, Vitis amurensis, etc. Some species are in the Red Data Book of the Russian Federation — yellow lady's slipper and Cypripedium macranthon. Some plants growing in the Zapovednik belong to species rare for the Far East; 236 species are medicinal plants. 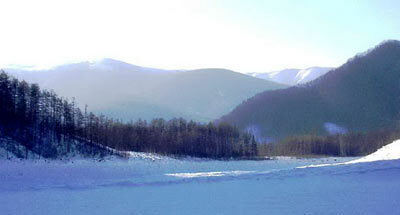 The whole look of the Zeisky Zapovednik's fauna is taiga. Of mammals the most typical species are roebuck, elk, brown bear, skunk bear, sable, and common weasel. Of birds grouse species are the most interesting, they are represented here better than in any other Zapovednik of the Far East: one can come across hazel grouse, Tetrao urogalloides, wood grouse, and fool hen. In research in the Zapovednik great attention is paid to the study of the water reservoir's effect on protected natural systems.